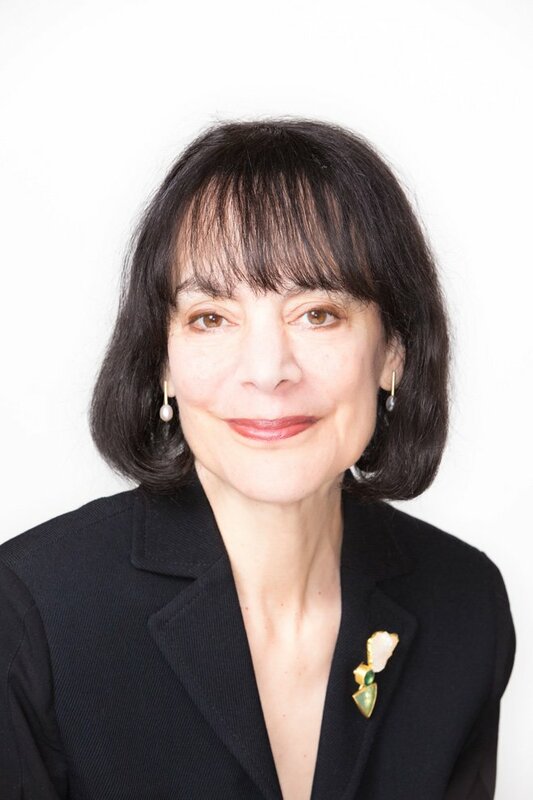 Carol Dweck, Stanford’s Lewis and Eaton Professor of Psychology, is the inaugural recipient of the Yidan Prize for Educational Research. Dweck’s research has focused on identifying two different frameworks through which people consider their own intelligence. The first is called a “fixed mindset” and maintains that there is a predetermined cap on each person’s intelligence. The second is called a “growth mindset,” under which one’s intelligence has the capacity to continually expand. The Yidan Prize, awarded by entrepreneur Charles Chen Yidan, is a $3.9 million grant that aims to establish a platform for the improvement of education around the world by spurring conversations about education as well as promoting educational philanthropy. The Daily spoke with Dweck about her research and future plans. The Stanford Daily (TSD): How did you first get involved in studying growth mindset? Carol Dweck (CD): I grew up in an environment that promoted a very fixed mindset. It was an era that worshipped IQ and thought that your IQ was the most important thing in determining your future. My sixth grade teacher even seated us around the room in IQ order. When I was in graduate school, I became very interested in why some kids took on challenges and were able to bounce back from setbacks, whereas others shy away from difficulty and really crumble when they hit failures. I became fascinated with people who had that kind of courage to take on challenges. So I started doing research on them, and I started seeing 10-year-olds who were able to deal with challenges when we were giving them problems that were way too hard, and I thought, I want to figure out what they know, how they could be this way, and I wanted to model them. So over 10 or 15 years we started discovering that these mindsets were at the heart of these two different patterns: That if you believe your intelligence is just a fixed trait, you have a certain amount and that’s it, you don’t want to expose yourself to possible failure, because maybe you have permanent deficiencies that will be revealed. But if you think of your talents, abilities and intelligence as something that can grow and be developed, then … you want to jump in and develop them. So we began this whole program of research on what happens when you believe your intelligence is fixed and what happens when you believe it can be developed. TSD: How did that research play out? CD: Many different ways. In some studies you measure what children already believe, and you see if it predicts how they behave when they hit obstacles. In some studies you measure if they believe their mindset is fixed or if it can be developed, and you see how … they fare over difficult school transitions. Do they thrive, or do they start doubting themselves and doing poorly? Then we did studies where we actually put students into more of a growth mindset through online learning or in-person training. We asked, did these students do better across a difficult school period or on difficult tasks that we might give them? Are they more eager to take on challenges? TSD: What did you find? CD: Most of our online programs are very short, so they’re not necessarily going to produce dramatic changes in everyone. We tend to see a benefit in terms of grades, especially among the struggling students or the students laboring under negative stereotypes. We just completed a study of 18,000 students across the United States making the transition to high school, and we found it benefited students across achievement levels in terms of their desire for challenge and their tendency to take more advanced math classes. TSD: Have you seen the growth mindset exhibit itself in your students at Stanford? CD: I teach a freshman seminar every year, and we delve very, very deeply into their mindsets. They read scientific articles, but we also focus on what their mindset is, and they learn to recognize when they are in more of a fixed mindset, because we’re all a mixture. They learn to see whether their fixed mindset is keeping them from taking on challenges that are good for them, or whether being in a fixed mindset makes them stray away from things that they didn’t succeed at right away. Then they learn how to come back to be in a more growth mindset so that they can really pursue their goals. TSD: What are some examples of those specific mechanisms? CD: One of them is always stressing improvement. Another is when students are stuck, don’t just console them or tell students, “try harder.” You work with them, say, show me what you’ve done, show me what you’ve tried, and let’s talk about what you can try now. It’s just that getting stuck is a totally natural part of learning and here’s how you deal with it. TSD: Did you find that certain groups of people were more predisposed to either mindset? CD: Not so much, but what we do find is that when certain groups have a fixed mindset they can be more vulnerable, because certain groups are laboring under negative stereotypes that affect their abilities. A negative stereotype says it’s fixed, and maybe your group doesn’t have it. So if you yourself buy into more of a fixed mindset, and then you start struggling, you think maybe they’re right. So we find that giving students who were laboring under negative stereotypes, [like] females in math, giving them more of a growth mindset can help them combat the stereotype. TSD: How do you think we can use the knowledge of growth mindsets versus fixed mindsets to improve the education system? CD: Well this is very much in its infancy. Some people are already applying it very successfully, but it’s harder than we thought, and so many researchers, including many former students of mine, are doing programs of research at the elementary, secondary and university levels. They are examining how do teachers communicate the mindsets to kids and creating a curriculum for teachers to follow that allows them to imbue their teaching with practices that can foster a growth mindset. TSD: Do you think its best when the growth mindset is inculcated in children at a young age? CD: Probably, but it’s never too late. TSD: How will the Yidan Prize help you in your future endeavors? CD: I’m really planning to further our research. Part of the prize will be used for two particular projects. One is a nationally representative sample of 18,000 high school students. Half of them were given a growth mindset workshop on learning, and half of them were given something else, and we want to follow them to see: What are their grades? How is their challenge-seeking? Are they more likely to take STEM courses? Are they more likely to stay in school, to graduate from high school, go to college, stay in college? Then the other project that we will be using the Yidan Prize for is the creation of a teacher training curriculum. TSD: How do you think that will be implemented in schools? CD: The teacher training curriculum will be a free curriculum that will be online and available to any instructor. TSD: How different is this curriculum from existing curricula? CD: What they may be teaching is similar, but it will be infused with growth mindset practices that encourage students to take on challenges, and that will teach them how to do that. And it will encourage teachers to give students activities where deeper learning is possible. We’re beginning to test this, and we are compelled by some data that’s suggesting that teachers who teach for understanding and not just rote memorization are more likely to give students a kind of growth mindset experience. TSD: In the long term, what do you think the effects will be of having students taught in this fashion? CD: We hope it will create more joyful and effective learning. Especially now, we worry that so much of the teaching is geared toward standardized testing. It takes the joy out of learning, and it puts memorization in the place of true learning. A byproduct of that is that, if you learn, and you love learning, you’ll do well on the test. It’ll also prepare them for the future, where they’re going to have to constantly be taking on challenges.